LAUSANNE, Switzerland – High-ranking world sports official and WBSC Executive Board member Reynaldo Gonzalez (Cuba) passed away Saturday in Mexico City at the age of 66. 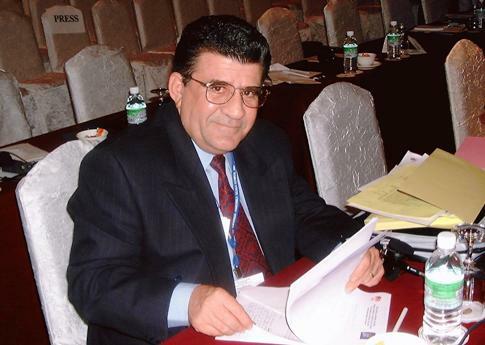 Gonzalez, named an IOC member in 1995, was elected to the WBSC Executive Board as the Vice President of Baseball in May 2014 at the World Baseball Softball Congress in Hammamet, Tunisia. He was one of the chief architects behind the founding of the new international federation, WBSC, and the ongoing campaign to return baseball and softball to the Olympic Games. Gonzalez was also serving as Executive Secretary of the Pan-American Sports Organisation (PASO), which oversees sport across the Americas and the Pan-American Games. A dedicated administrator of sport at the national, continental and world levels, Gonzalez held such past prominent roles as Secretary General of the Cuban National Olympic Committee, President of the Cuban National Institute of Sport (INDER), President of the Cuban National Baseball Federation and 1st Vice President of the International Baseball Federation.